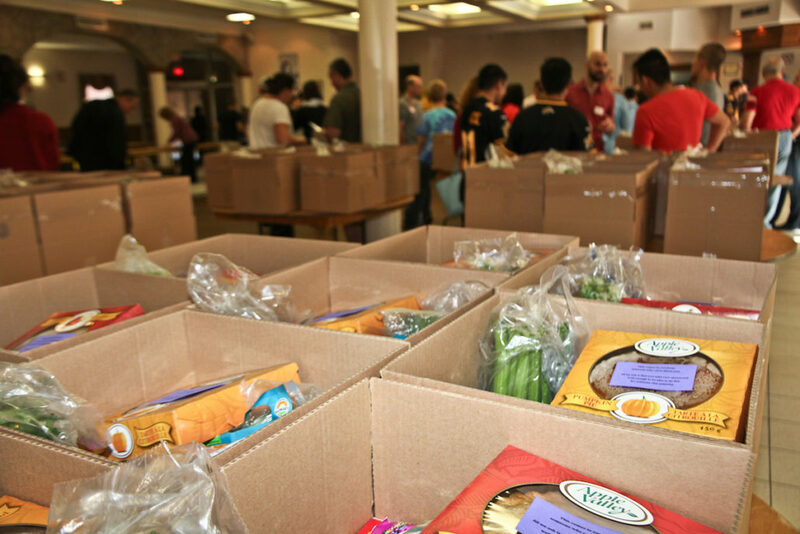 a small group of local Hamiltonians picked up a shipment of food and supplies in a cube truck from a local grocer. 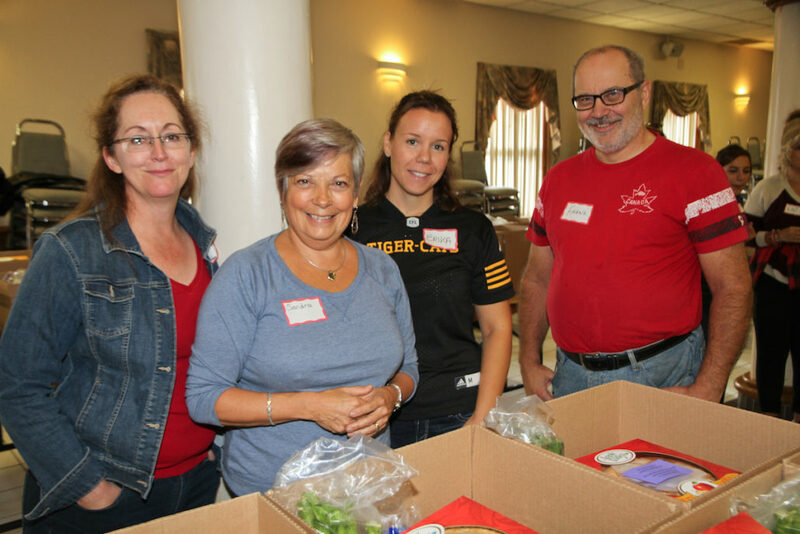 All the food was boxed and organized in a local church hall, then delivered door-to-door for those who need it most in our supportive community. Thoughts and prayers are not enough to meaningfully improve the world. What’s required is taking action. Built on the notion that one small act of generosity on the part of one caring person can have an effect on hundreds. 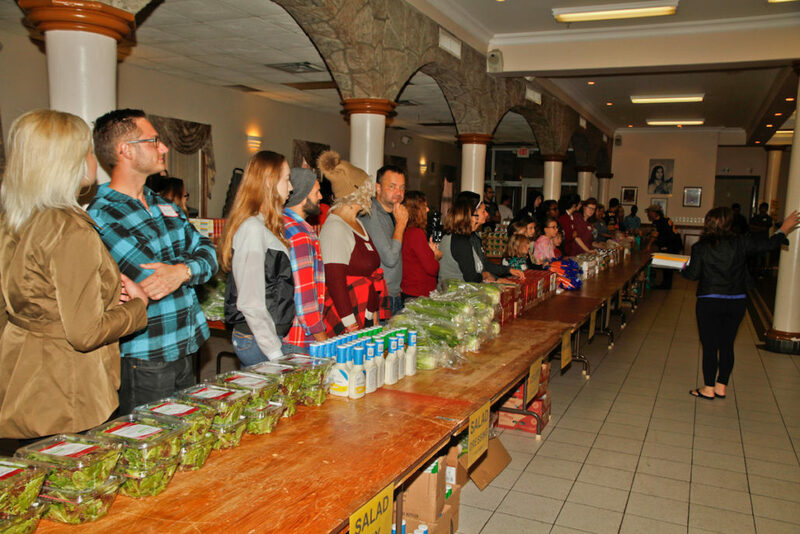 What began as an effort from a few individuals to feed families in need, has now grown into the Hamilton Basket Brigade. A charity committed to improving the lives of those less fortunate and spreading a message of love and caring for every soul in our community. Want To Do Something About It Too? 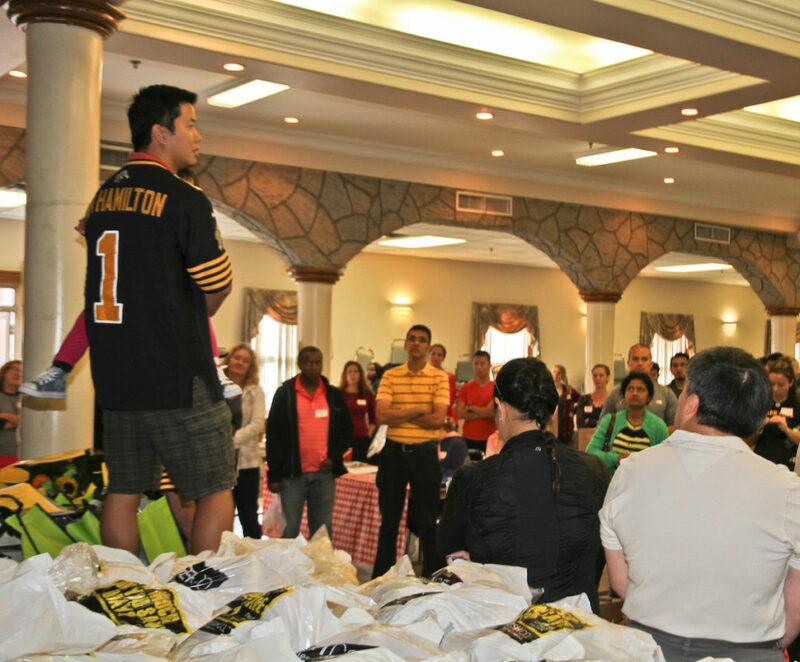 What separates the Hamilton Basket Brigade from other charities of its kind are the volunteers involved. This is a group of individuals who believe in directly taking action to produce positive change in the world. 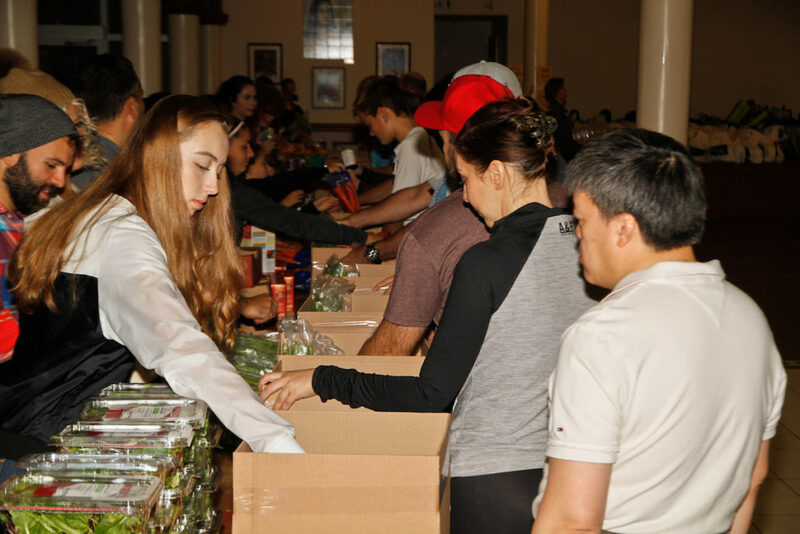 In just a single morning volunteers actively gather, organize and deliver all the food door-to-door. Volunteers get to intimately interact with and see the faces of the children and families they are feeding. Being a part of the Hamilton Basket Brigade is a truly moving experience. 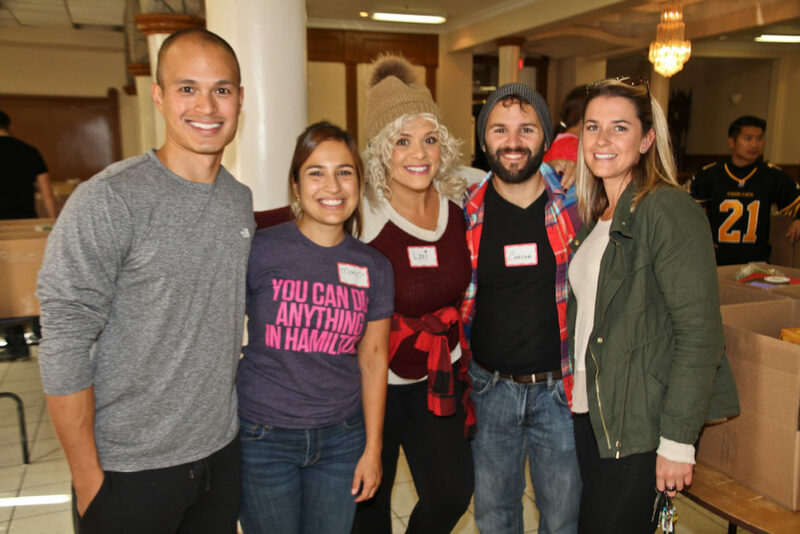 Witnessing the tears of gratitude, shock and overwhelming joy, you’ll be transformed seeing how your small act of involvement for one morning truly does change the lives of hundreds in our community. Be the change that our community and the world needs. 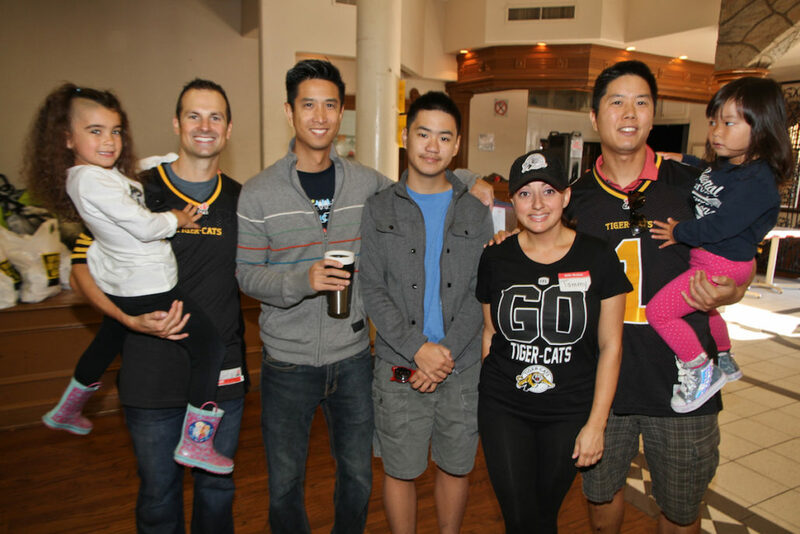 New volunteers are always welcome to participate in future Hamilton Basket Brigades. 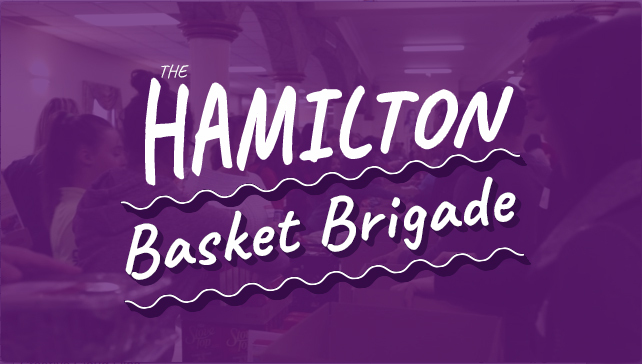 If you personally believe that making the world a better place for everyone requires taking direct action to do so, you need to support the Hamilton Basket Brigade. We are a small local Hamilton charity taking a grass roots approach to feeding families in need. Every single dollar you donate goes directly to funding the purchase of food. 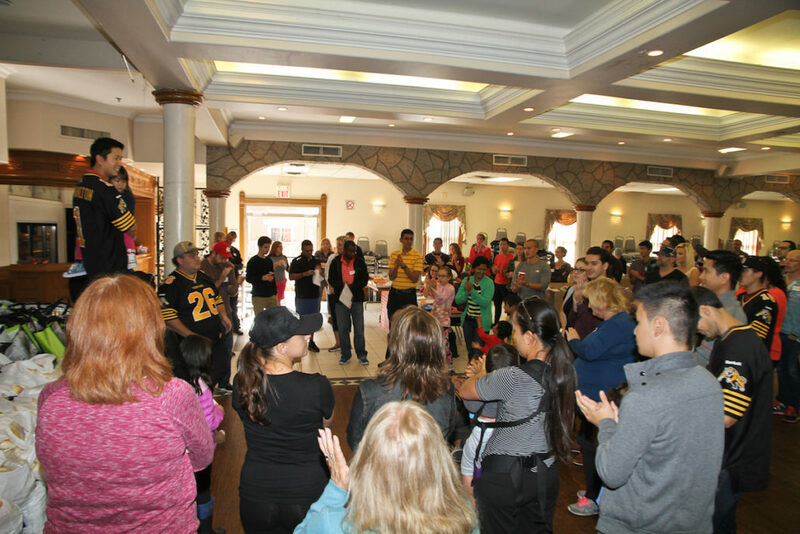 In fact, the whole operation is made possible by donations from generous community members. The rental cube truck used to pick up all the food is a donation. All the hamper bags and boxes for delivering the food is donated. The hall space used for the event is donated free of charge. 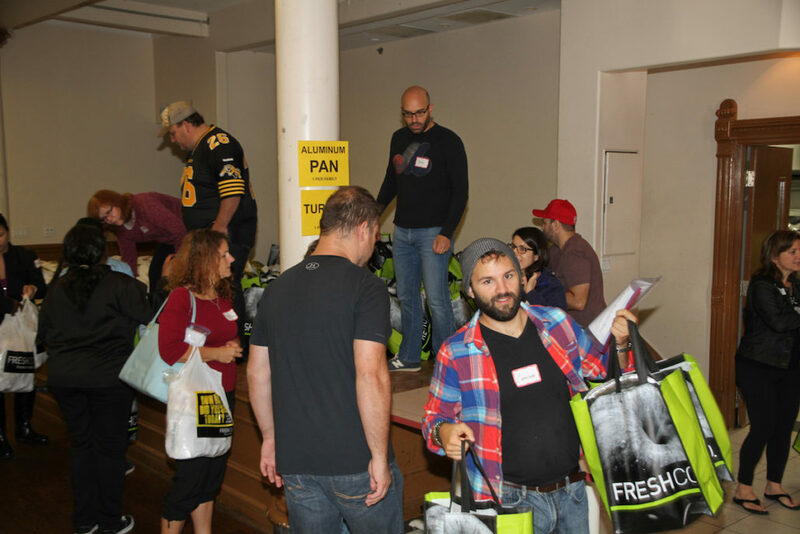 You’re invited to help lend support for the next Hamilton Basket Brigade. Donations of any size will be accepted. A donation of $210 will feed 3 families. 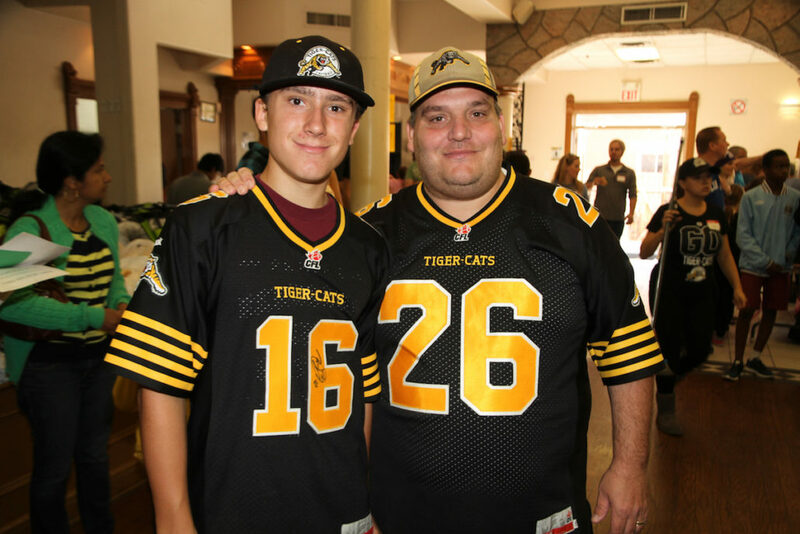 A donation of $70 will provide enough food for a single-mother family in Hamilton. Please give what you can and make a difference in the world today. What an amazing feeling!!! 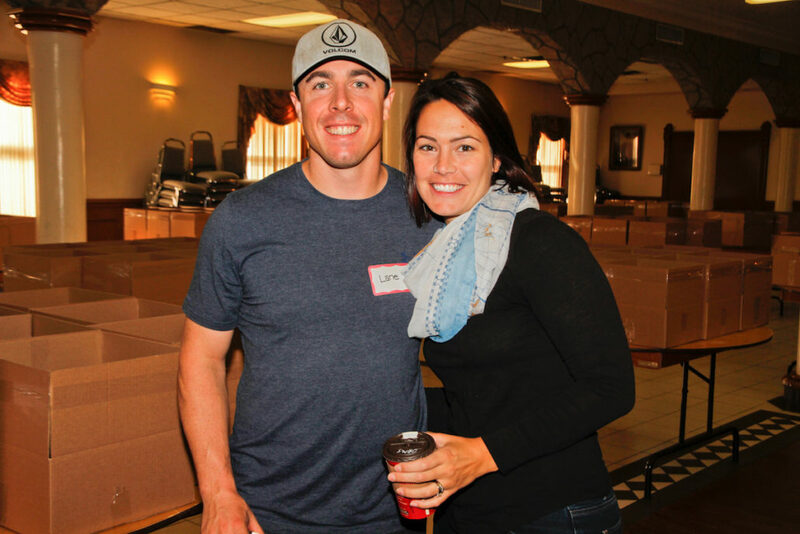 Thank you for including us… Ian and I just finished doing our deliveries! One of the families we delivered to really touched us…in addition to the food from today and toys from my works toy drive, we also gave her $40 gift cards to Wal-Mart! I was so overwhelmed with her reaction that I asked Ian to go back — we went back after our deliveries and gave her an additional $60 in Wal-Mart gift cards! I’m sure we made her day (her reaction was touching ) but truly…she made mine! Thank you for including us. We had an amazing time helping out. 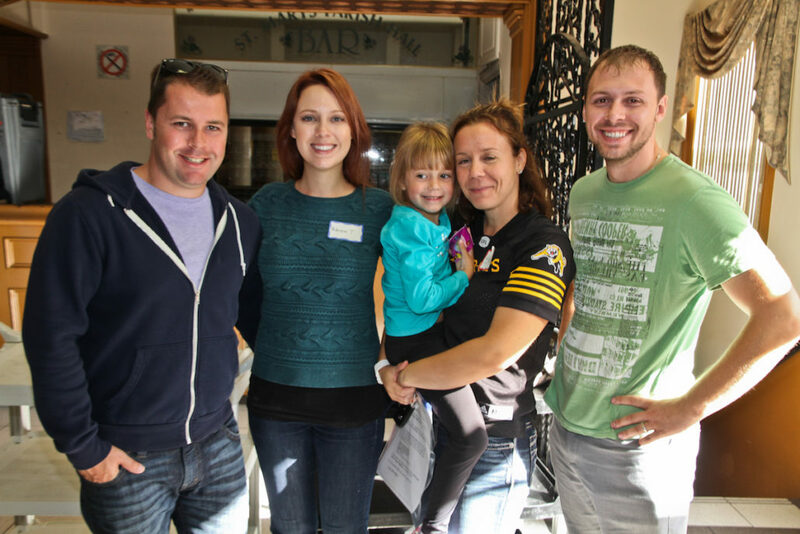 One of our deliveries was particularly touching…a young mother and her daughter came to the door. She was surprised to see us and immediately starting crying when she saw what we had brought. She said that she had just returned from the grocery store and felt defeated and worried because she couldn’t buy enough for her family. She couldn’t believe the timing. It was truly amazing to be a part of this.